1. Preheat the grill to medium high heat. 2. Coat Haskell’s Albacore Tuna medallions with olive oil and season with salt and pepper on both sides of the medallions. 3. 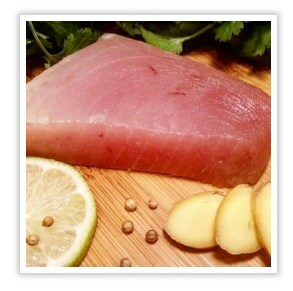 Grill Albacore Tuna Medallions for about 2 minutes on each side. Transfer the Tuna to plates and allow it to rest. 4. In a bowl, combine mayonnaise, rooster sauce, red wine vinegar, and shallot. Stir until blended and silky smooth. 5. Cut slider rolls in half and apply spicy mayo to either side. Layer slices of sharp cheddar on both halves, topping the mayo. 6. Place halved rolls in toaster oven and or indirect heat on the grill and toast for 5 minutes or until cheese is melted to your liking. 7. 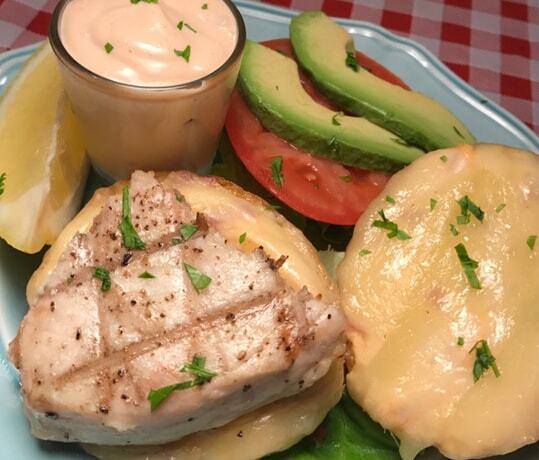 Assemble the Spicy Tuna Melt within the toasted roll with grilled tuna medallions, avocado slices, tomato slices, and lettuce. Cut in half, serve, and enjoy!